I hope everyone had a great Thanksgiving! I made this quick pizza last night using my leftovers from Thanksgiving. If you still have any left, give this a try. Just use any of your leftovers as a topping for your pizza. 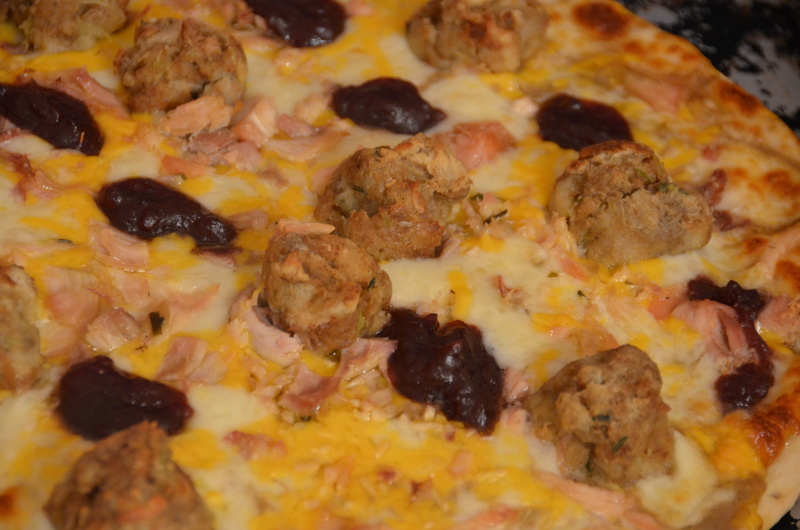 I used gravy as the base and topped it with, mozzarella, cheddar, shredded turkey, stuffing, and a little cranberry sauce. I also cheated and purchased a ready-made pizza crust. I know it sounds a little weird, but trust me, it was really tasty!